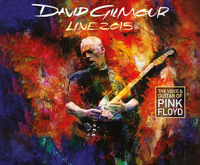 Pink Floyd guitarist David Gilmour plays a string of solo concerts in 2015, in a number of venues across Europe and South America. The concerts are to promote his new album, out on September 18th, 2015 and called Rattle That Lock. The shows should have David playing songs from his new album, along with a selection of Floyd classics and maybe also some other surprises during the shows!